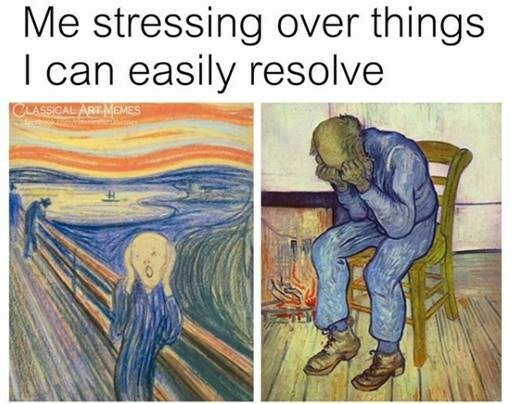 From using Van Gogh to illustrate millennial anxiety, to putting rap lyrics on historically famous paintings, these meme creators have education to back their dark humor. I love when a joke has substance – makes me feel like my meme obsession is more high-culture than low-culture… (lying to myself? Yes).